Why is clean water still a luxury for communities in Asia? And how is this issue being addressed today by non-profits, social enterprises, and the private sector? Last month, UBS staff in Singapore gathered to hear diverse perspectives on socially inclusive water and sanitation services and enterprises, in an event organised by Lien AID. Featuring a line-up of esteemed panellists from the social enterprise, impact investing, and international water sector, the panel discussion was held in conjunction with Lien AID’s Windows of Hope exhibition. The 2-day exhibition enabled UBS staff to travel virtually to a rural village and experience the impact of Lien AID’s clean water project in the community through immersive video. The head of corporate communications at UBS, Ms Julie Yeo, made the opening remarks to a full audience, and welcomed them to the panel discussion. Mr Ian Chen, programme manager at Lien AID and the panel moderator, subsequently touched upon the discussion format which involved presentations by the panellists followed by an interactive question and answer session, covering sub-topics such as socio-economic impacts of inclusive water and sanitation services in developing economies, as well as the challenges and future opportunities within the space. Ms. Rebecca Paranjothy, co-founder of Freedom Cups. 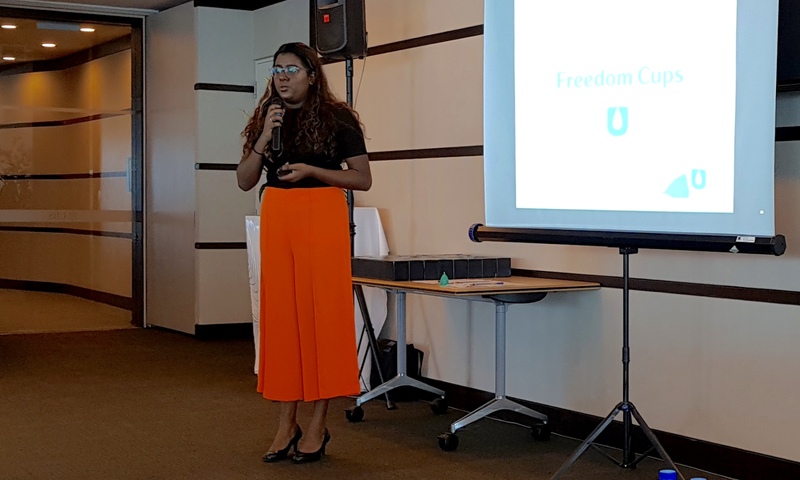 The first speaker, Ms Rebecca Paranjothy, cofounder of Freedom Cups, shared the positive social impact Freedom Cups has made through its socially inclusive enterprise approach towards menstrual hygiene and sanitation. Freedom cups is a social enterprise operating on a buy-1, give-1 model to distribute reusable silicone menstrual cups to women in rural communities. Rebecca shared that almost a quarter of girls in rural countries drop out of school the moment their first period hits due to a lack of facilities or supplies. With the use of Freedom Cups, women will be able to get through a full month of school or work and not fall behind their male counter parts in terms of education or income. 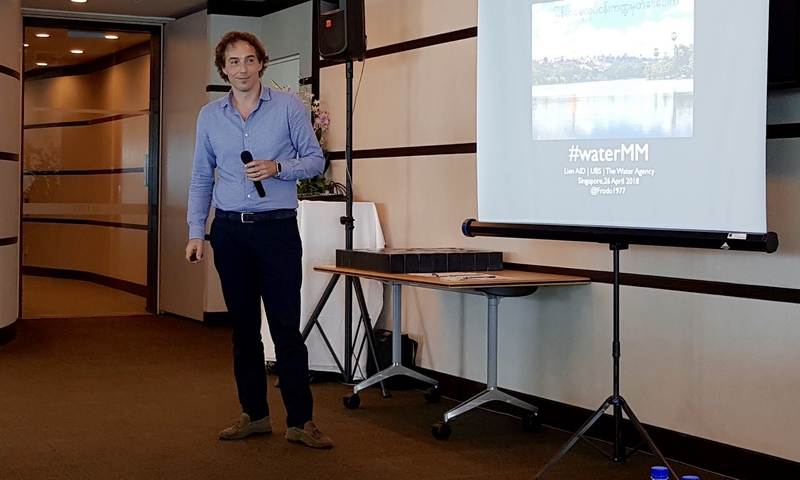 Mr. Frodo Van Oostveen, Managing Director at The Water Agency. Mr Frodo Van Oostveen, cofounder and managing director of The Water Agency, a network orchestrator for the international water sector, spoke next and explained the critical importance of collaborative partnerships in developing innovative approaches towards addressing water, sanitation, and hygiene (WASH) challenges. Frodo emphasised the importance of finding the right flow of collaboration and highlighted the need for governments to implement regulatory frameworks to ensure standards are met; for private companies to step forward with innovative ideas to address water challenges; and non-governmental organisations (NGOs) to share local insights and building strong relationships on the ground. 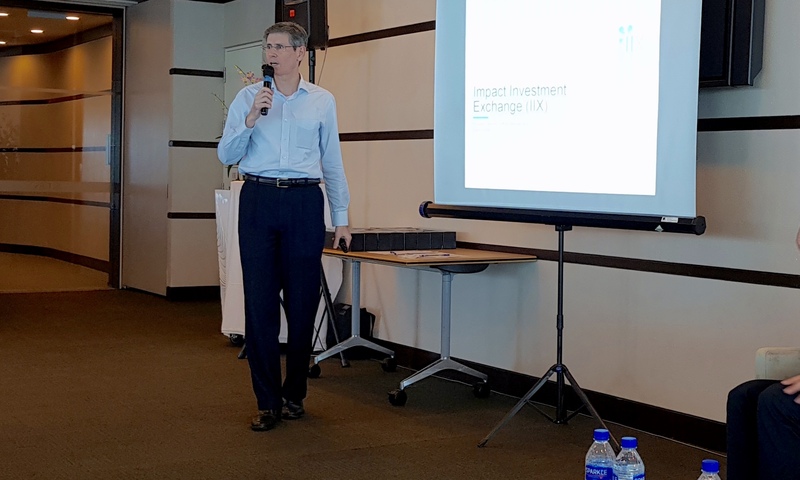 Mr. Robert Kraybill, Managing Director, Portfolio Management at Impact Investment Exchange (IIX) Asia. Mr Robert Kraybill, managing director of Portfolio Management of Impact Investment Exchange (IIX) Asia, rounded up the panel presentations with insights on the role of impact investing in supporting and accelerating the growth of social enterprises in developing economies. IIX is the home of the world’s first social stock exchange and the world’s largest private placement platform for impact investing. Drawing on his experiences, Robert said that a key challenge for social enterprises is making clean water devices accessible and affordable for rural families that often live on $3 – $6 a day. He shared that a social enterprise in Indonesia was able to resolve clean water challenges with support from IIX by selling water filters to households on credit through the local women entrepreneur network. During the interactive question and answer session, a wide range of related topics were discussed, such as increasing education on WASH issues, the application of financial engineering to ensure the sustainability of WASH initiatives, and ways in which technology and innovation can enable safe WASH access in developing nations. Insights from the panel forum pointed to the importance of collective effort to overcome complex WASH challenges and dialogue between governments, NGOs, foundations, and the private sector. Founded in 2006, Lien AID is a Singapore-based international non-profit organisation with the mission to improve the health and well-being of last-mile communities in Asia by enabling sustainable access to clean water and sanitation. Leveraging our ties with local governments, international foundations, and partners, we have successfully mobilised funds, knowledge, and technical skills to deliver water and sanitation interventions across 6 countries in Asia – Cambodia, China, Indonesia, Myanmar, Thailand and Vietnam – in more than 3,000 villages, 80 schools, and 50 health centres. In the process, we have impacted the lives of nearly 1,000,000 people. This Water Festival, amid splashy fun and communal gatherings, Myanmar will welcome not only the Myanmar New Year, but also the beginning of the UN International Decade (2018-2028) for Action – Water for Sustainable Development. According to UN projections, by 2025, half of the countries across the world will face water stress or outright shortages. By 2050, as many as three out of four people could be affected by water scarcity. The new Decade, in continuation of the ‘Water for Life’ Decade (2005-2015), will focus on sustainable development and integrated management of water resources for the achievement of social, economic and environmental objectives. Resolving water, sanitation, and hygiene (WASH) challenges in Myanmar, as well as other Asian countries where rural communities are suffering from a lack of access to clean water, is key for Lien AID, whose mission is to improve the health and well-being of last-mile communities in Asia by enabling sustainable access to clean water and sanitation. Just last week, Lien AID concluded a month-long experiential public exhibition in Singapore titled Windows of Hope. 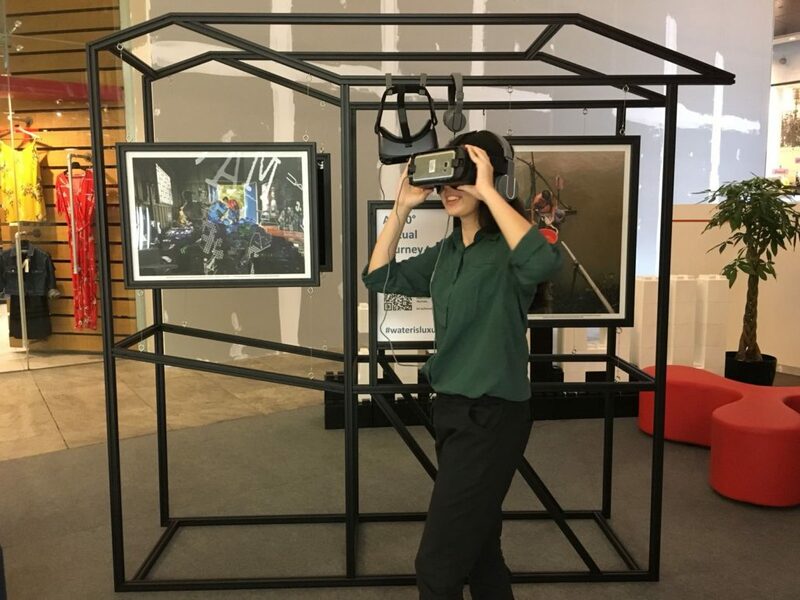 Held in three public locations from March 20 to April 8, the exhibition allowed the public a unique chance to journey into rural Myanmar and Cambodia through virtual reality (VR) technology and physical installations, and see for themselves the region’s water challenges and what is being done to resolve them. The exhibition will continue to be open to companies who wish to host it in their premises. In 2016, Lien AID launched a pilot clean water project in Tetma village, Mandalay, which consisted of a gravity-fed piped water system that distributes water from an existing tube well to shared water points in the village. 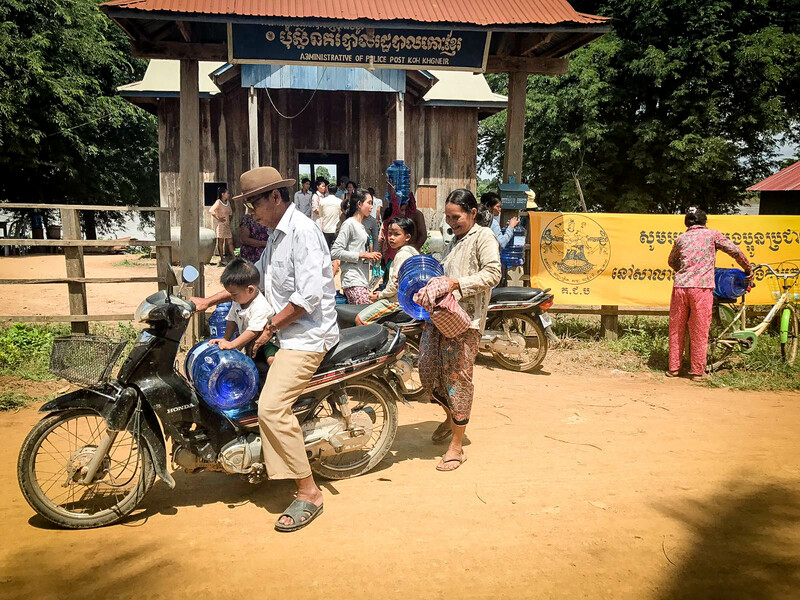 Last year, Lien AID launched another pilot initiative in five villages across three townships in the Ayeyarwady region, enabling an estimated 3,866 villagers to gain improved access to clean water. In addition, the communities were also engaged through workshops on basic rural water management and hygiene, in an effort to raise their capacity and improve the sustainability of the project. This year, Lien AID will continue to partner with local governments, civil society organisations and communities in Myanmar to improve overall WASH standards in the villages, as well as work on fostering institutional collaborations amongst government and non-government partners to meet the national 2030 WASH goals. “The challenge often lies in understanding how to adapt solutions for specific locations, socio-political contexts and WASH issues, and ensuring sustainable outcomes. One key success we have achieved in Myanmar would be the strong working relationships that we have forged with our local partners, such as the Department of Rural Development, local civil society organisations and community leaders. These partnerships have enabled us to co-create solutions to enable access to clean water and sanitation for last-mile communities,” added Mr. Koh. Lien AID first launched Windows of Hope last year, bringing it to various organisations in Singapore – AECOM, Allen & Gledhill, Arup, Asia-Europe Foundation, Credit Suisse, Ernst & Young and Expedia. More information on Windows of Hope can be found at http://www.lienaid.org/windowsofhope. A version of this press release was published in Myanmar Business Today. This World Water Day (22 March), step into the shoes of over 200 million people in Asia who lack access to clean water at Windows of Hope, an experiential exhibition organised by Singapore non-profit organisation Lien AID. The roving exhibition aims to raise awareness on the region’s water challenges and what is being done to resolve them, by giving the public a unique chance to journey into Cambodia and Myanmar through virtual reality (VR) technology and physical installations. The VR video featured in Windows of Hope was shot in Preaek Chrey Village, Kandal Province in Cambodia. The villagers in the often-flooded rural area mostly rely on dirty river water or rainwater for drinking, cooking and washing. It is estimated that prior to Lien AID’s intervention, villagers spent on average 25 to 40 minutes preparing water (collecting, filtering, boiling, etc.) before drinking it. 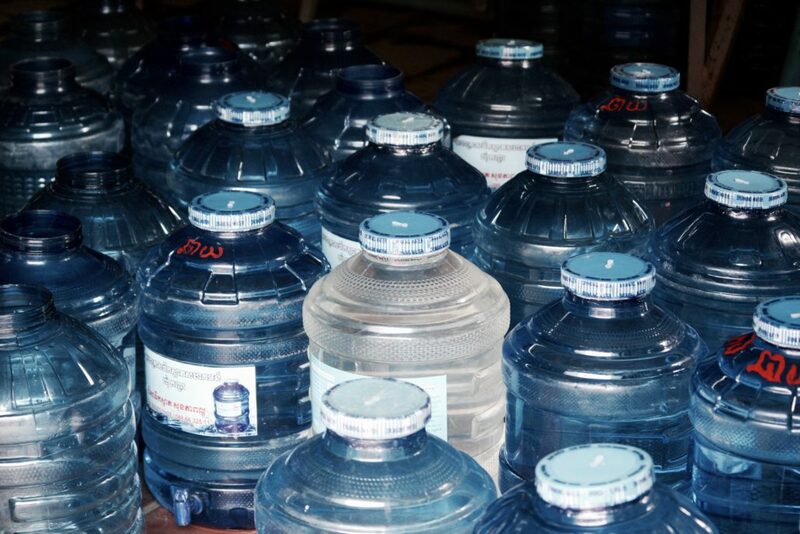 The alternative source of clean water was imported bottled water sold by a private company in Vietnam, which costs up to 3,000 Riel/bottle (USD 0.75). 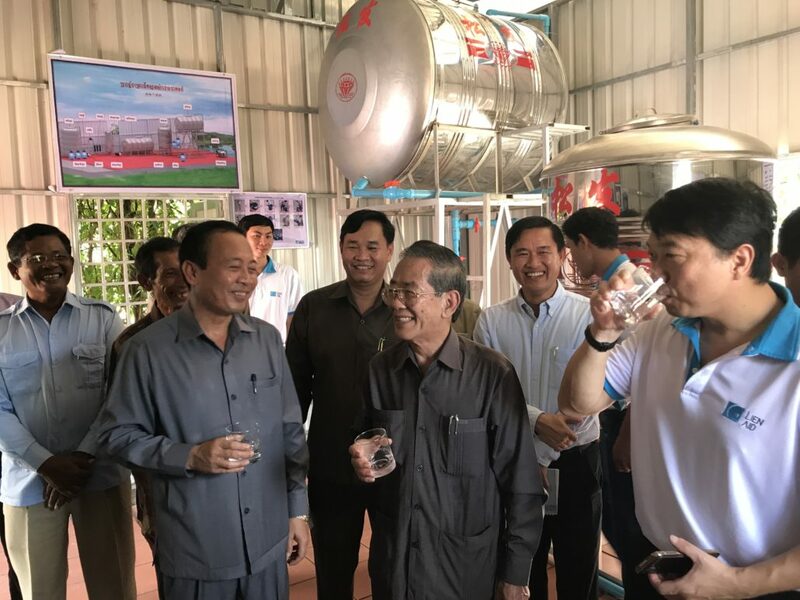 To address this challenge, Lien AID has set up a water treatment and bottling plant in Preaek Chrey village that benefits the entire commune. The plant is operated and run by a water entrepreneur selected from local villages through a rigorous evaluation process, and a water management committee comprising local government officials was also formed to regulate the provision of water services. They were subsequently trained in basic rural water management and business skills. 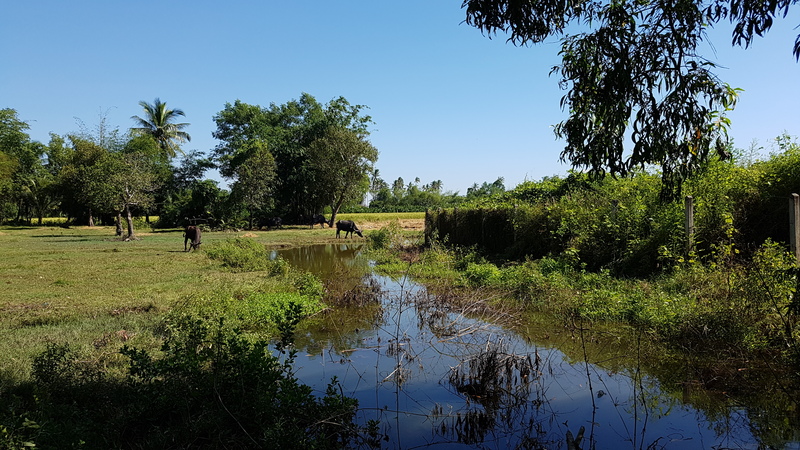 75 such projects have been completed in Cambodia, and this project in Preaek Chrey village alone enabled an estimated 3,624 villagers from 929 households across Preaek Chrey commune to gain better and more affordable access to clean drinking water. Last year, Lien AID also launched new pilot initiatives across three townships in the Ayeyarwady region in Myanmar, enabling an estimated 3,866 villagers to gain improved access to clean water. In 2018, Lien AID will continue to partner with the local government to empower and equip community leaders to improve overall WASH (Water, Sanitation and Hygiene) standards in the villages, as well as work on fostering institutional collaborations amongst government and non-government partners to meet the national 2030 WASH (Water Sanitation and Hygiene) goals. Globally, more than two billion people drink unsafe water, and over 4.5 billion people do not have safely managed sanitation services, according to a report released in March by the United Nations and World Bank Group. Through Windows of Hope, Lien AID hopes to reach out to a much wider audience and galvanise greater support in solving the root cause of the water and sanitation crisis. Individuals can make a difference simply by sharing about the issue on social media and helping to generate greater awareness of Lien AID’s work. Companies which would like to offer their employees a unique opportunity to experience immersive 360˚ technology and play a part in bringing clean water to rural communities in Asia can also contact ruiyan.yong@lienaid.org for the roving exhibition to visit their offices. More information on Windows of Hope can be found at http://www.lienaid.org/windowsofhope. Imagine having to collect rainwater every day, and spending at least 30 minutes treating it before you can even take a sip. More than 200 million people in Asia still lack access to clean water and sanitation, putting them at risk of early death, disease and entrenched poverty. Children playing in flooded rice fields, Preaek Chrey commune, Cambodia. Ms. Sokha Sinoeun, principal of Preaek Chrey elementary school estimates that on average 5 students miss classes each month due to fever and diarrhoea. 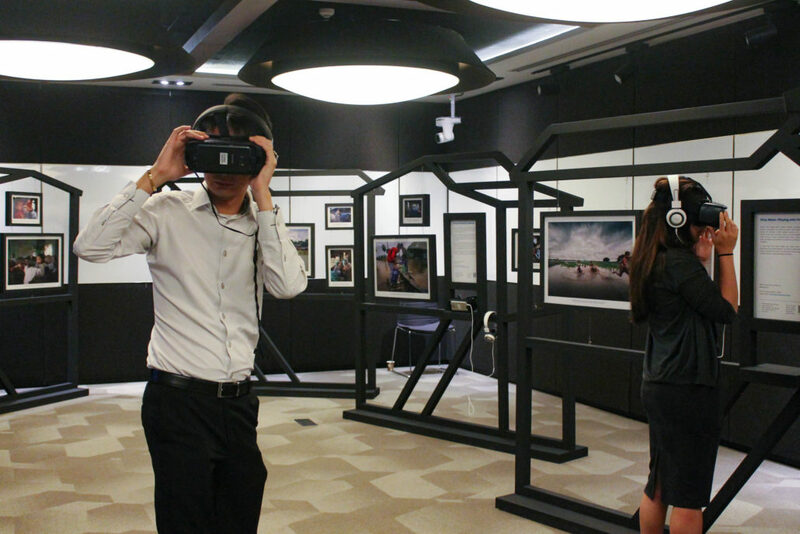 With such a compelling need, Singapore non-government organisation (NGO) Lien AID has launched “Windows of Hope” – a virtual reality (VR) experience and roving exhibition on Asia’s need for clean water. Lien AID is bringing this immersive event right into the offices of companies and organisations in Singapore to give employees a unique chance to journey into Cambodia and Myanmar vicariously, and discover for themselves what life without clean water is like. Through the VR video and physical installations, they will learn about the impact of the region’s water challenges and how Lien AID works with local governments, rural communities and corporate supporters to offer relief and sustainable water access. Mr Koh Lian Hock, CEO of Lien AID said, “The best way for people to understand the devastating impact of widespread water challenges on rural communities is to travel there and see for themselves. However, not everyone is able to do this. But we can bring the experience to him or her through this immersive 360˚ experience. With this exhibition, we hope to bring people closer to our cause, and educate them on the urgent need for clean water in countries like Cambodia and Myanmar, and what they can do to make a difference.” Lien AID is seeking the support of corporates to adopt its water cause as part of their Corporate Social Responsibility (CSR) efforts, so there can be greater and more sustainable water access in rural communities across Asia. 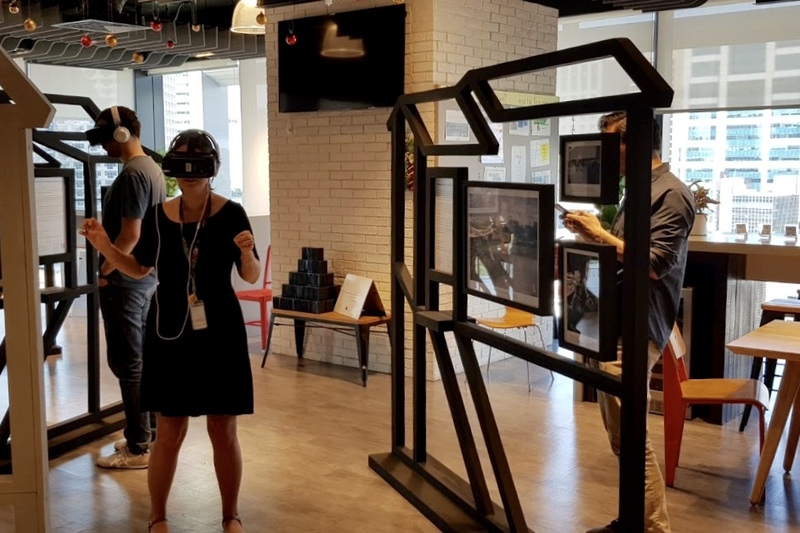 Through the “Windows of Hope” VR exhibition, Lien AID hopes to raise $300,000 to help ten Myanmar villages improve their water supply and gain access to proper sanitation in schools and health centres. A woman climbs down a rudimentary river quay made of bamboo, Kakayo village, Myanmar. Two hours away from the nearest town, Kakayo village has few amenities and villagers have to travel to the neighbouring village for health services. Since November this year, the Windows of Hope VR exhibition has travelled to the offices of Credit Suisse and Allen & Gledhill, as well as to Expedia. In 2018, Lien AID will be bringing the roving exhibition to more offices, such as design and engineering consultancies AECOM and Arup. Employees from Credit Suisse at the Windows of Hope exhibition. Over 100 employees from the law firm, Allen & Gledhill, got a virtual taste of Cambodia’s water challenges. Mr Chan Hian Young, Partner at Allen & Gledhill, who helms the Pro Bono Programme at the firm on a full-time basis, says, “Lien AID has used a very interactive medium to engage us with sights and sounds to enhance our experience at the exhibition. This has given us a clearer picture of the situation in the rural villages. We saw that a lot of help is needed for these communities to access clean water and sanitation”. Allen & Gledhill, has been assisting Lien AID in setting up its project office in Myanmar. An employee at Allen & Gledhill views the 360 video. The VR video was shot in Preaek Chrey Village, Kandal Province in Cambodia. The villagers in the often-flooded rural area mostly rely on dirty river water or rainwater for drinking, cooking and washing. It is estimated that prior to Lien AID’s intervention, the villagers spent on average 25 to 40 minutes preparing water (collecting, filtering, boiling, etc.) before drinking it. 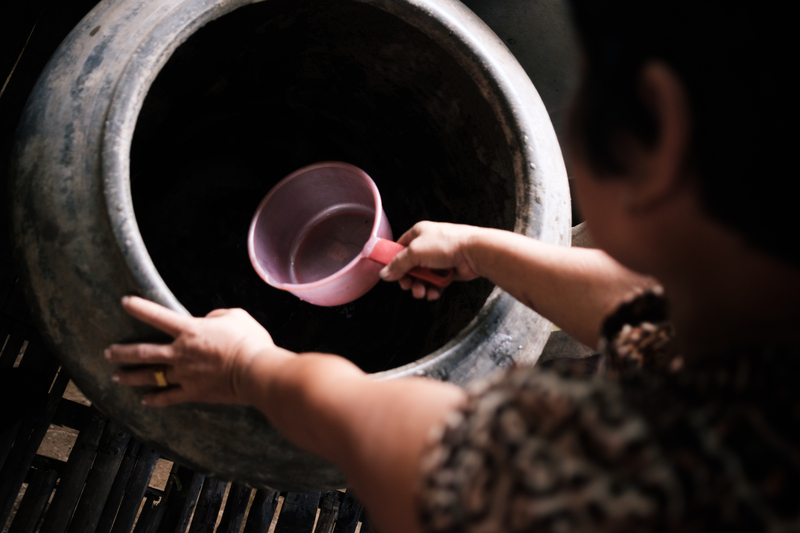 A woman scooping water from a rainwater harvesting jar, Cambodia. The earthen jars used to collect rainwater are not cleaned regularly and often contaminated with animal droppings and other pollutants. The Community Water Enterprise (CWE) set up by Lien AID in Preaek Chrey village covers two of seven villages in Preaek Chrey commune. The main sources of drinking water for villagers prior to the implementation of the CWE programme are river water and rainwater. The other alternative source would be imported bottled water sold by a private company in Vietnam, which costs up to 3,000 Riel/bottle (USD 0.75). The CWE programme, Lien AID’s intervention, has enabled an estimated 3,624 villagers from 929 households and 2 villages to gain better and more affordable access to clean drinking water. Under the CWE programme, a water treatment and bottling plant is built in the commune. ‘Water entrepreneurs’ are selected from the local villages through a rigorous evaluation process. Water management committees comprising selected local government officials are also formed to regulate the provision of water services. Like the entrepreneurs, they are trained to operate and maintain water treatment and bottling plants, as well as taught basic business skills and how to manage water services. In the decade since its inception, Lien AID has enabled clean water and sanitation access for more than 900,000 rural poor in Asia, across 6 countries (Thailand, Myanmar, Cambodia, Vietnam, Indonesia, China) in more than 2,800 villages, 270 schools and 50 healthcare centres. Access to clean water has the power to transform lives. For every dollar invested in water, sanitation and hygiene, the World Health Organisation and United Nations Water Agency estimate that more than four times the benefits are delivered through savings in healthcare costs. Convenient water supply and sanitation services are also estimated to provide time-savings of 20 billion working days per year as well as an additional 320 million productive days gained due to improved health. Companies which would like to offer their employees a unique opportunity to experience immersive 360˚ technology and play a part in bringing clean water to rural communities in Asia can contact ruiyan.yong@lienaid.org for the roving exhibition to visit their offices. Lien AID is a Singapore-based international non-profit that is committed to enabling sustainable access to clean water and sanitation for Asia’s rural poor. 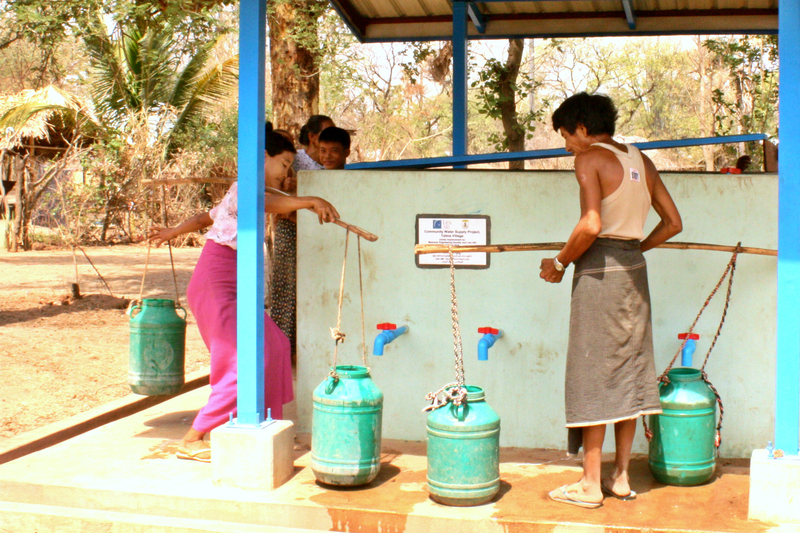 Lien AID brings clean water access to more than 27,000 villagers in the provinces of Kandal and Kratie in Cambodia. Rural communities in these provinces face clean water challenges such as the arsenic contamination of groundwater, seasonal flooding and the lack of available clean drinking water sources. Bottles of treated CWE water at the handover event. On 24 August 2017, 10 completed Community Water Enterprises (CWEs) were handed over to the respective communes. The 10 clean water projects, co-funded by UNICEF Cambodia, are expected to benefit more than 27,000 people from over 5000 households. With the launch of these 10 CWEs, Lien AID would have implemented 75 CWEs in 12 provinces in Cambodia since 2011, enabling more than 397,000 villagers to gain affordable access to clean drinking water. Villagers travelling home with their bottles of clean water. These enterprises utilise a market based approach to provide affordable treated drinking water on a sustainable basis. The communes will own, operate and manage the water treatment and bottling plant through a water entrepreneur and a Water Management Committee (WMC) selected from the local communities. Lien AID will continue to monitor and review the performances of the CWEs for two years after the launch. Many of the local villagers and water entrepreneurs expressed joy at having access to clean drinking water right in their communes. Water entrepreneur Ms. Eart Sysela Vorn sees the Community Water Enterprise as a new opportunity for her and her family. While a little nervous about picking up new technical knowledge at the age of 60, she is keen to embark on a new journey and explore an alternative source of income to farming. “There are a lot of families that drink untreated water in my commune. 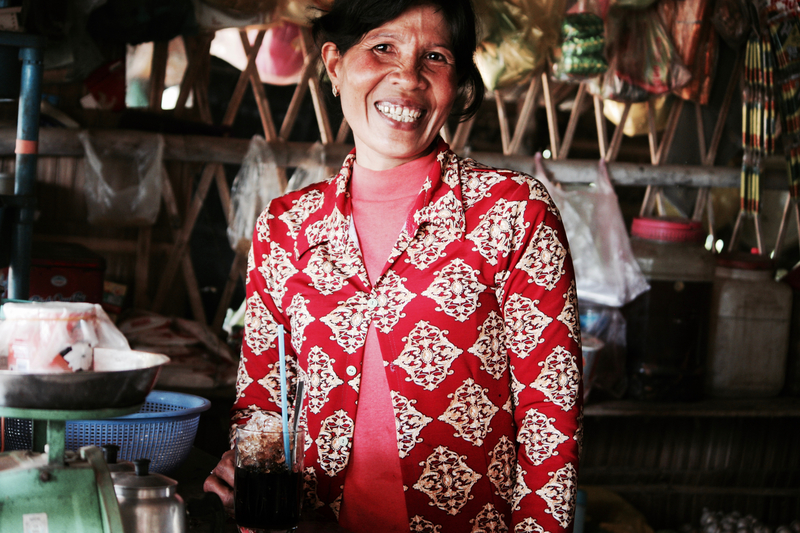 With CWE, I can earn more income for myself and help families that lack access to clean water.” – Ms. Eart Sysela Vorn. Ms. Loeung Kimlen, a farmer from Svay Chek Village, Kaoh Khnhaer Commune, said that it would be her first time drinking treated clean water. “I usually drink water from the rice farm, lake or the river. If I have the free time, I will boil the water before drinking. When I’m busy, I drink raw water. 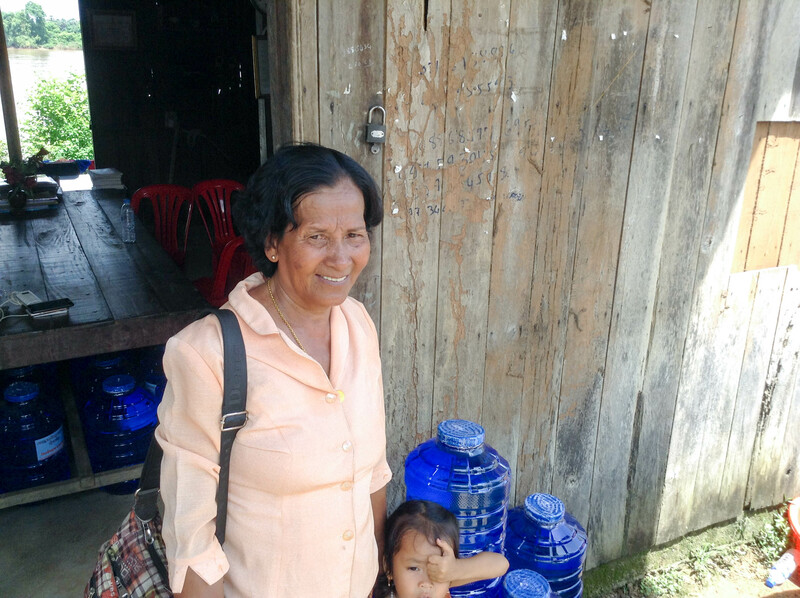 I am happy to see this Community Water Enterprise in my commune!” – Ms. Loeung Kimlen. Lien AID is an international non-profit organisation committed to enabling sustainable access to clean water and sanitation for Asia’s rural poor. Founded in 2006, Lien AID focuses on community-based approaches in the delivery of multi-year scalable and sustainable WASH programmes. Through partnerships with local governments, civil society organisations and private businesses, Lien AID hopes to provide the impetus for better water governance and a future where clean water access is available to everyone. The Community Water Enterprise (CWE) programme applies the principles of a social enterprise model delivered by training selected water entrepreneurs and local governments. The CWE programme is delivered in locations where piped water systems are not feasible and where readily available surface waters are biologically contaminated. 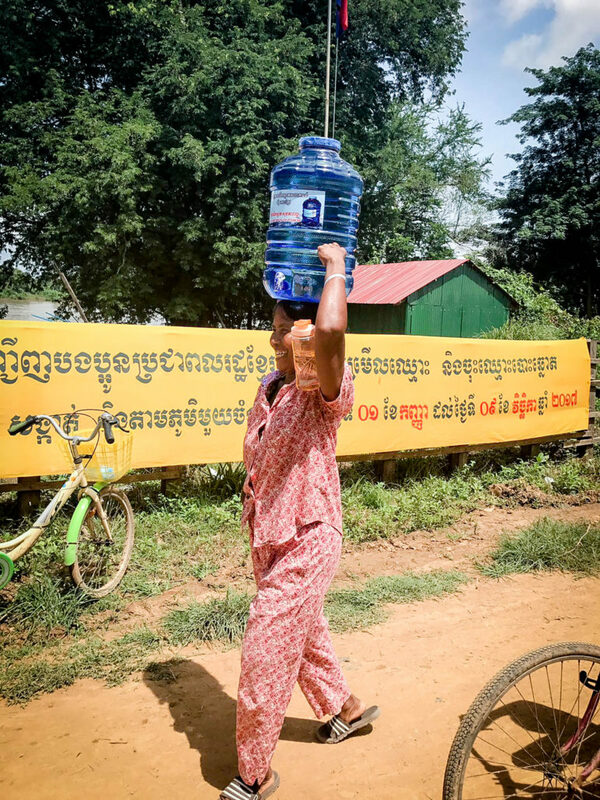 Since 2011, Lien AID has implemented 75 CWEs in 12 provinces in Cambodia, enabling more than 397,000 rural villagers in Cambodia with sustainable access to clean drinking water. Sign up to receive the latest opportunities for you to get involved. Cambodia has one of the fastest growing GDPs in Asia, but more than 11.8 million of the population still lack access to a safely managed drinking water source, of which 10.4 million live in rural areas. The lack of access to safe water and sanitation services leaves children especially vulnerable to water borne diseases. In Cambodia, diarrhea is second leading cause of death for children under the age of five. 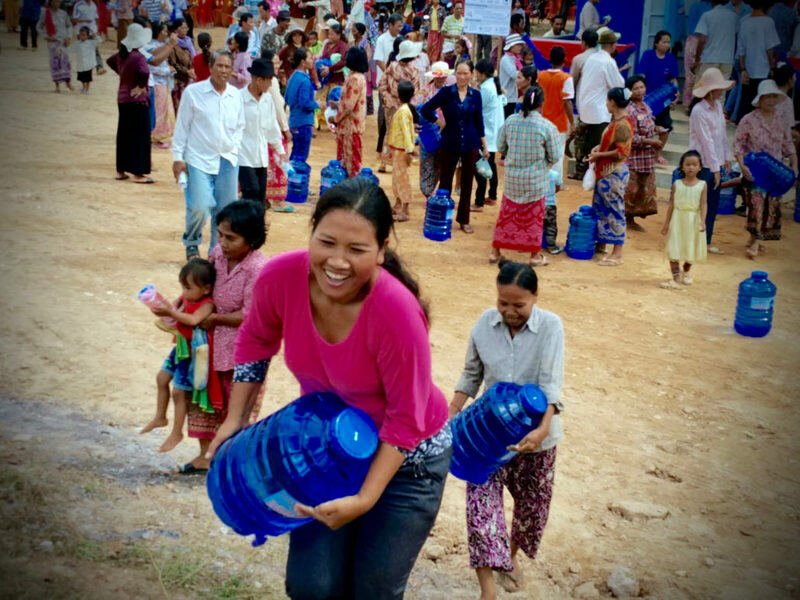 Since 2011, Singapore NGO Lien AID has been enabling rural poor communities in Cambodia to gain sustainable access to clean drinking water. As of end 2016, Lien AID has enabled more than 350,000 rural poor in Cambodia to gain access to clean drinking water through 64 Community Water Enterprises (CWE) across 11 provinces. Going beyond the traditional approach of providing funding and infrastructure, the CWE programme developed by Lien AID utilises a social enterprise model that trains and empowers local communities to deliver sustainable clean water services to rural households. Under this programme, Water Entrepreneurs and Water Management Committees are selected from the local villages via a rigorous evaluation process. They are subsequently trained in the operation and maintenance of water treatment and bottling plants, as well as in basic business skills and the management of water services. Bottles of clean, treated drinking water inside a CWE water treatment plant. Last year, two CWEs that were established with the support of Ministry of Foreign Affairs (MFA) Singapore were handed over to the communities of Ta An and Msar Krang communes. Through these projects, 2,023 households and 10 schools gained sustainable access to clean drinking water. 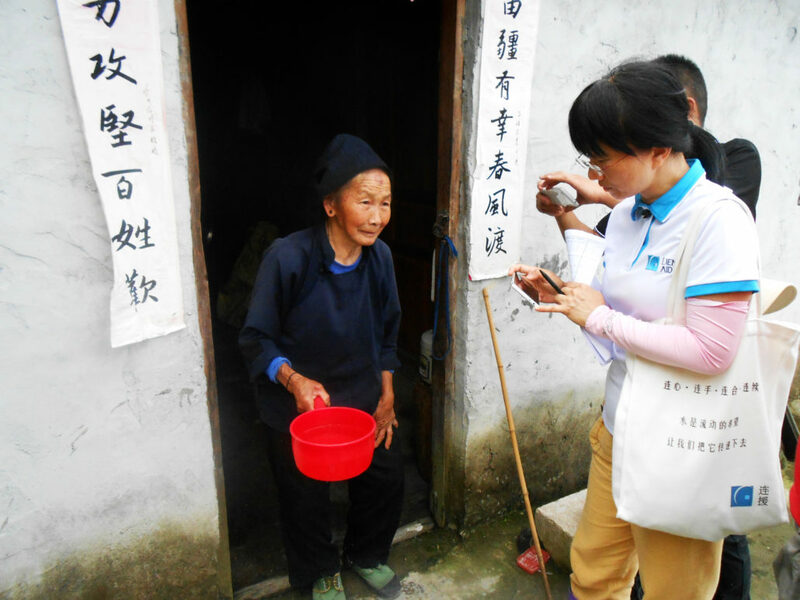 In late 2016, Singapore volunteers from Nanyang Technological University and Conjunct Consulting conducted a further evaluation study in the two communes to better understand villagers’ perspectives of the CWE initiative. The CWE programme has not only empowered water entrepreneurs, but it has also changed the lives of many other villagers. Here are some stories of real people whose lives have improved since gaining better and more affordable access to clean water. Kim Ly, rice farmer, Toul Putrea village, Takeo province. 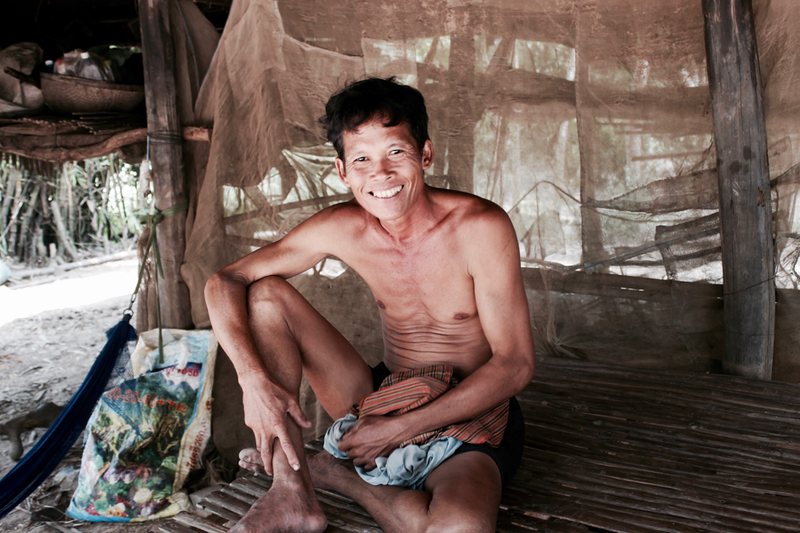 Kim’s life improved after he gained access to affordable clean water. The bottled water from CWE costs less than half the price of the imported bottled water that he used to buy. Kim was able to save more money for his children’s education, and could even afford to buy more cows. “I have four cows now. And I have more rice.” – Kim Ly. A version of this article also appeared in the Khmer Times Singapore National Day Supplement. 2016 flew by in the blink of an eye as it was one of our most exciting and biggest ones yet as we celebrate 10 years of enabling sustainable access to clean water for Asia’s rural poor. Before we get too excited about our plans for the new year, let us look back at the key highlights and learning outcomes of our year. 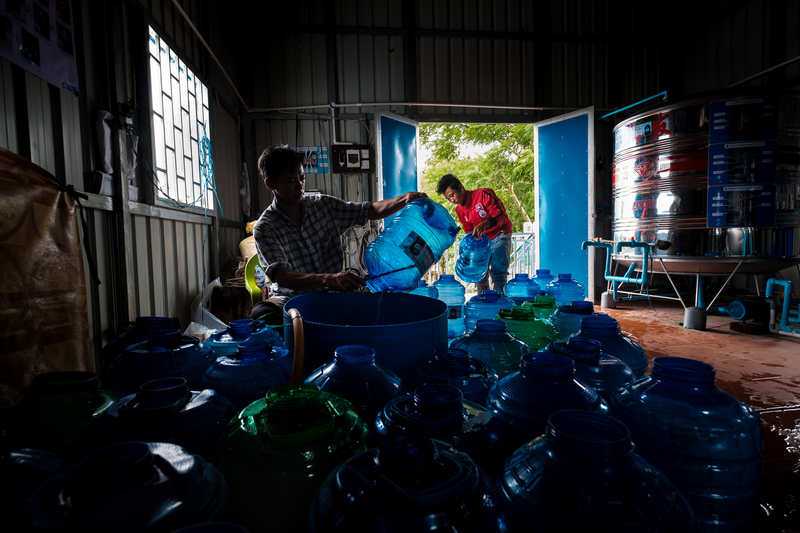 We enabled more than 100,000 beneficiaries in Cambodia, China and Myanmar to gain better access to clean water. 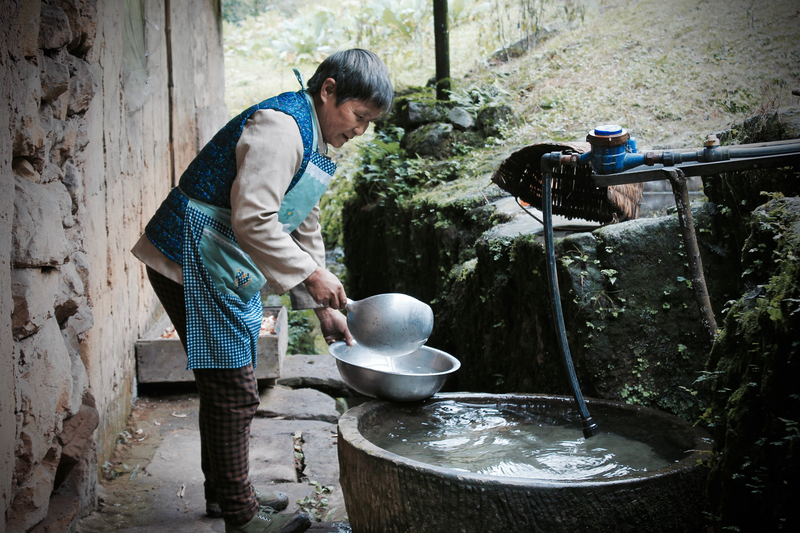 Wang Bangxian, a villager in Tiantaishan village, China, gains access to clean piped water through the Village Water Management (VWM) programme. We launched the #waterisluxury campaign that garnered positive feedback from our partners, fans and strangers. Guests taste the “luxury” water at our event launch. 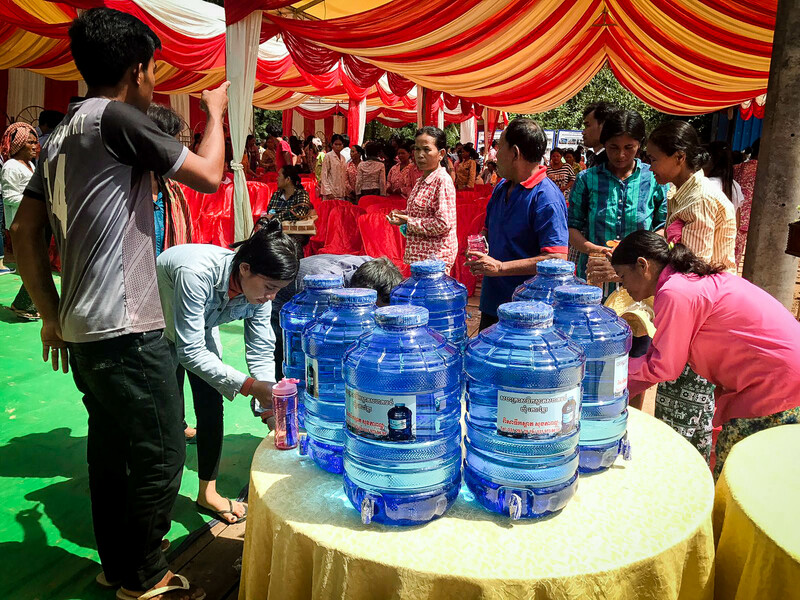 We handed over our pilot project in Tetma village, Myanmar, organised two Community Water Enterprise (CWE) handover ceremonies in Banteay Meanchey province and Siem Reap Province, Cambodia, and a Village Water Management (VWM) programme commendation event in Beijing, China. A villager carrying a new bottle of clean water purchased at the CWE handover event in Kdul Village, Cambodia. Let’s not forget the hard work our country teams put in. 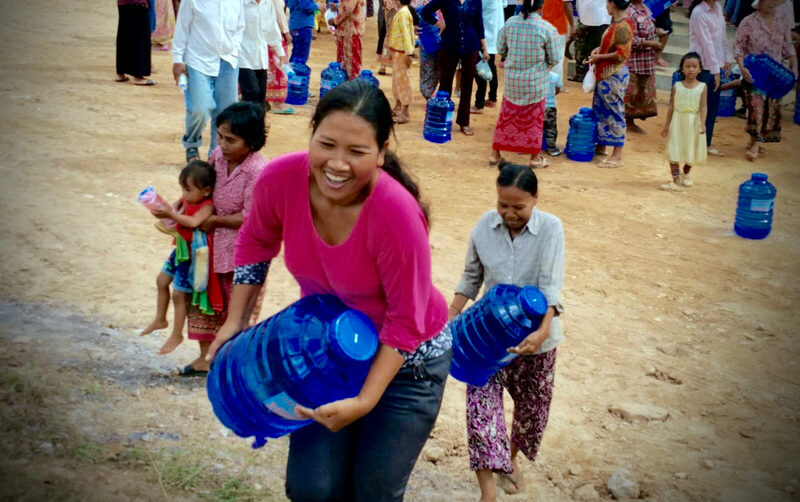 In Cambodia, we expanded the reach of our CWE programme by the appointment of reseller networks so more villagers in neighbouring villages can gain access to clean water. In China, we conducted market research on remote metering to overcome our data collection challenges. We also obtained government endorsement for our new pilot clean water projects that would be implemented in Myanmar in 2017. 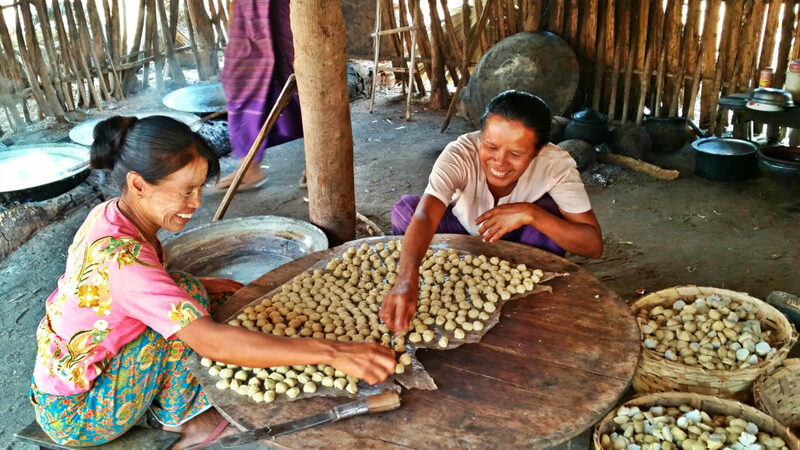 Bothingone Village, Labutta Township is one of the new pilot locations that we are looking at in Myanmar. Of course, that would not have been possible without our amazing stakeholders, staff, partners, volunteers, beneficiaries and all of our supporters. Lien AID staff conducting a field visit in China. We need to do more in addressing lifecycle costs, resources and capacities required to sustain our clean water programmes. We hope to address interconnected issues that affect the delivery of WASH services and desired impact. There is always room for improvement on the reliability and sufficiency of data which affects the learning and improvement of our programmes and projects. We have to place more emphasis on programme outcomes and our desired impact rather than on the delivery process. In 2017, we hope to address the challenges we faced in 2016 through new initiatives and enhancements to our current programme structures. Our major initiatives for 2017 include exploring the extension of local partnership frameworks to improve programme delivery and cost-efficiency in China and Cambodia, expanding our reach and impact through a new programme framework and projects in Myanmar, as well as some potential pilot CSR projects in Vietnam and/or Indonesia. It will be an exciting and busy year ahead for us, so stay tuned to our blog, Facebook and LinkedIn pages for the latest updates on our work. Interested in finding more about our initiatives in 2016 and our plans for 2017 and beyond? Get the full scoop in our Annual Report, which will be released in the second quarter of this year! Singapore is a city of luxury that plays host to lavish social life and many designer brands. But there’s one home-grown luxury that few talk about: access to clean water. Last month, Lien AID launched a pop-up luxury water bar in the city and invited hundreds of guests inside for an exclusive taste of Ô – the most expensive water in Asia priced at SGD $1,260 a bottle. 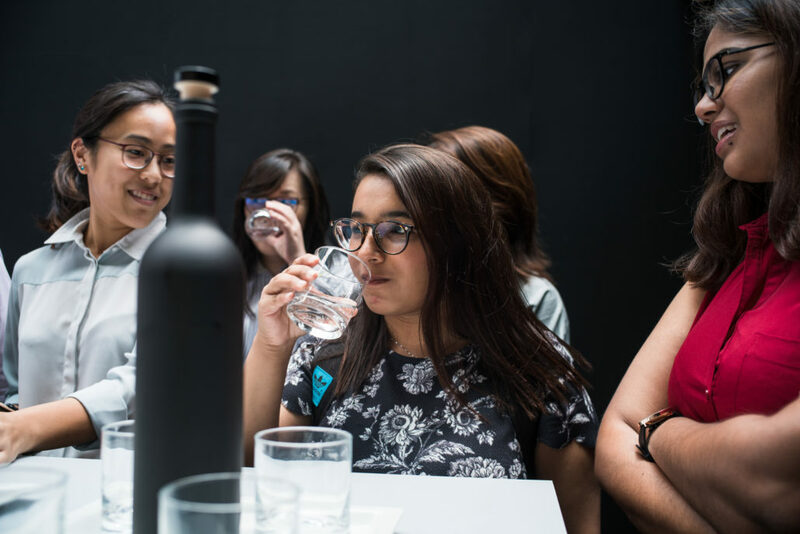 People flocked in for a free taste of Asia’s most expensive water – which is pH balanced, rejuvenating, hydrating and most of all, very refreshing. Then, they realised that the luxury water was not quite what it seemed. Eau does not actually exist. Inside each bottle is 100% clean water, which is readily available to us here. But in our neighbouring countries, clean water can be up to 1,260 times less affordable than in Singapore. For millions of Asia’s rural poor, water is luxury. More than 200 million rural poor in Asia still lack access to clean water. Lien AID is an international non-profit committed to enabling sustainable clean water access for Asia’s rural poor. Watch the full video below and learn more about how you can help at waterisluxury.sg. For the latest updates on Lien AID, connect with us on our Facebook page. 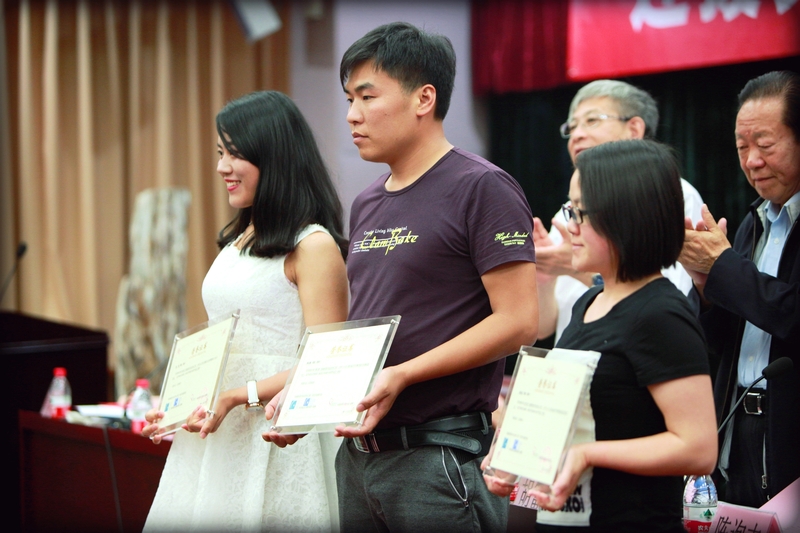 In collaboration with our strategic partner China Association for Poverty Alleviation and Development (CAPAD), we organised our first Village Water Management (VWM) programme commendation event in Beijing on 22 May where we took the opportunity to share the clean water project outcomes from our partnership in the last five years. The event saw the participation of 58 attendees, including key leaders from Lien AID and CAPAD, various government authorities, Student Village Officers (SVOS), corporate partner and the local media. CAPAD’s Vice Chairman Mr. Wen Kegang shared the collaboration programme with Lien AID has benefitted more than 100,000 rural villagers across 73 poverty stricken villages in nine provinces in the past five years. He expressed the importance of continuous close collaboration between Lien AID and CAPAD as well as the support from various local government authorities. SVOs were called upon to continue to advance their efforts in project implementation for the villagers and for their personal growth. 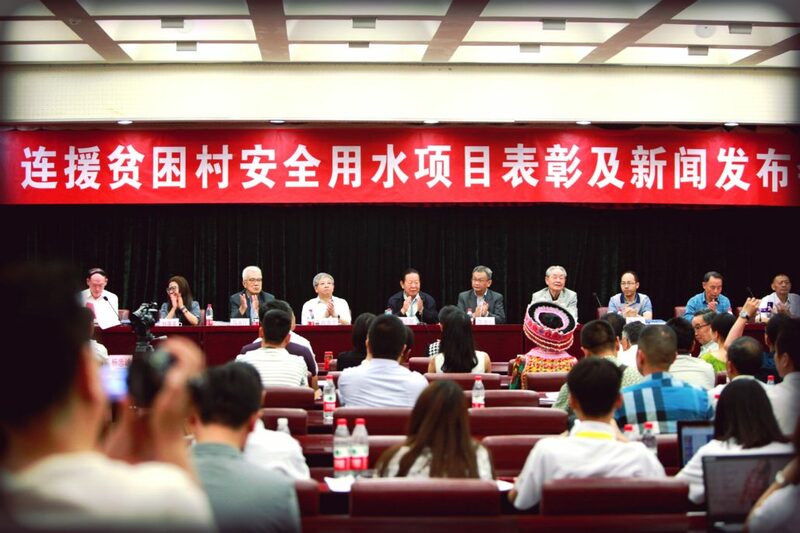 Vice Minister of the State Council Leading Group Office of Poverty Alleviation and Development of China Mr. Ou Qingping also attended the event. In his keynote speech, he spoke highly of the VWM programme. Commendation awards were presented to outstanding SVOs, local partners, individual and corporate donors at the event. Closing the session, our CEO Mr. Koh Lian Hock called for foundations, corporates and individuals to participate in the programme to improve clean water access and living conditions of rural communities in China. 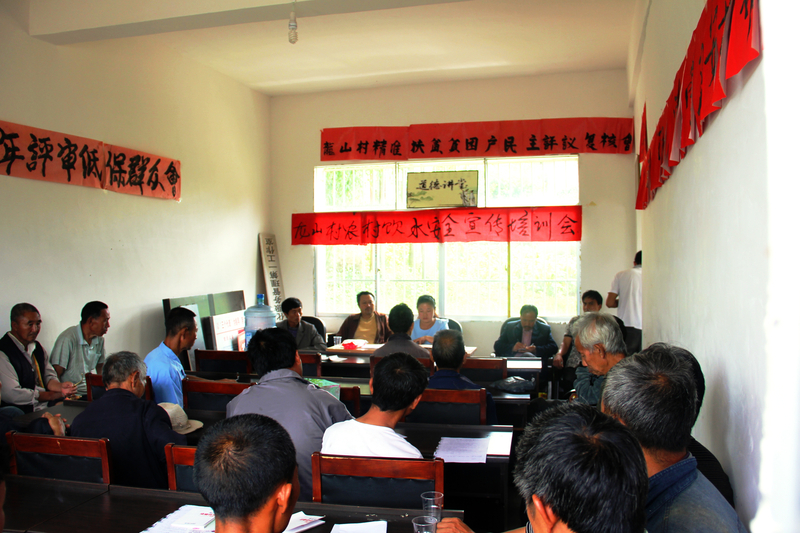 Back in January, we shared the progress of our ongoing VWM projects in China. With most of the projects under the 7th batch of the VWM programme completed and pending inspection, we are picking up on the progress of the 8th batch of VWM projects spread across Hunan, Shandong and Guizhou provinces. 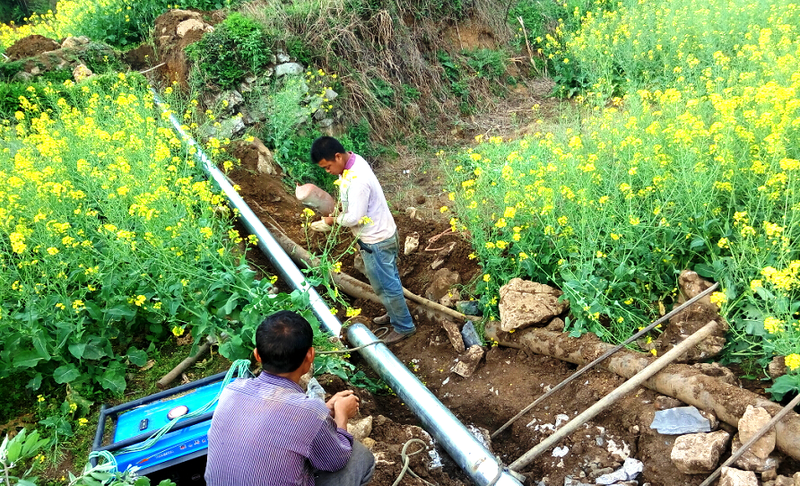 Under the 8th batch of the VWM programme, the construction of water distribution and storage infrastructure has kicked off at some project sites, with some households in Huangshanzi and Zhujiazhuang villages in Shandong province and Qishu village in Guizhou province gaining access to clean piped water. In addition to the construction of infrastructure, we also conducted a series of Health and Hygiene (H&H) training sessions for villagers in April and May. These sessions aim to increase the knowledge capacity of local communities, as well as raise awareness on best practices in health and hygiene. As we move towards the conclusion of the 8th batch of VWM projects later this year, stay tuned to learn more about our takeaways and milestones accomplished! Earlier this year, we shared the progress of our pilot clean water project in Tetma village, Mandalay region, Myanmar. 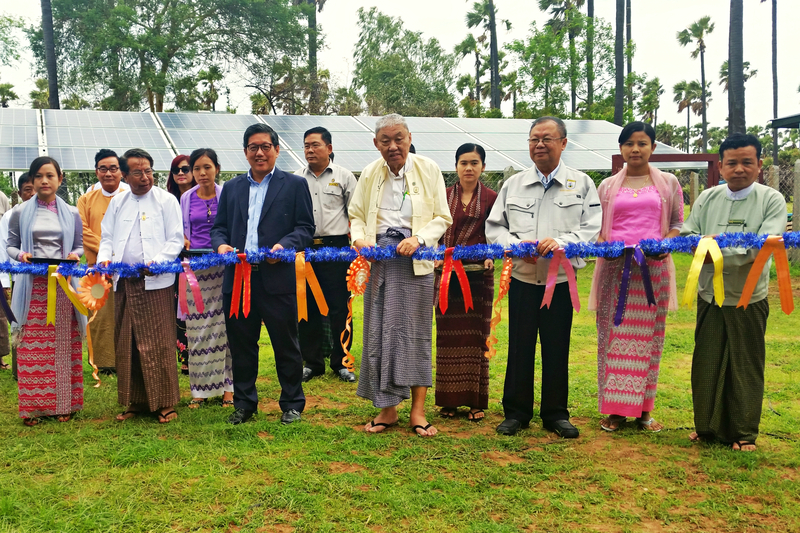 In partnership with Myanmar Engineering Society (MES), this project aims to create better access to affordable clean water for more than 1,800 villagers. Tetma village is located in the dry zone in Myanmar and experiences low annual rainfall. When we first visited this area in 2014, we saw the importance of clean water to the villagers – especially in terms of livelihood, and their daily challenges to get access to clean water. Families typically start their day with a walk of up to an hour to fetch eight to 10 gallons of clean water from a well for personal use and their production of jaggery (honey and candy) for trade. The amount of jaggery produced is dependent on the amount of clean water that families can collect in time, before the local tradesman collect their products daily. Under the pilot clean water project, a solar-powered and gravity-fed piped water distribution system was extended from an existing tube well to eight water points at six surrounding hamlets (small rural settlements with a small population), bringing access to clean water closer to the homes. The local Water Management Committee (WMC) was trained to manage and monitor the new water distribution system, while workshops were conducted for both the WMC and local villagers to increase awareness on best practices in health and hygiene. Since the completion of the system in April 2016, villagers shared that it has reduced walking distances and saved time on water collection. Some of them have been able to collect more water for their personal use and jaggery production with the reduced walking distance and lower cost. We handed over the project to the village authorities at an official ceremony graced by Ministers and General Attorney from the Mandalay Regional Government, district administrators and villagers on 12 June 2016. 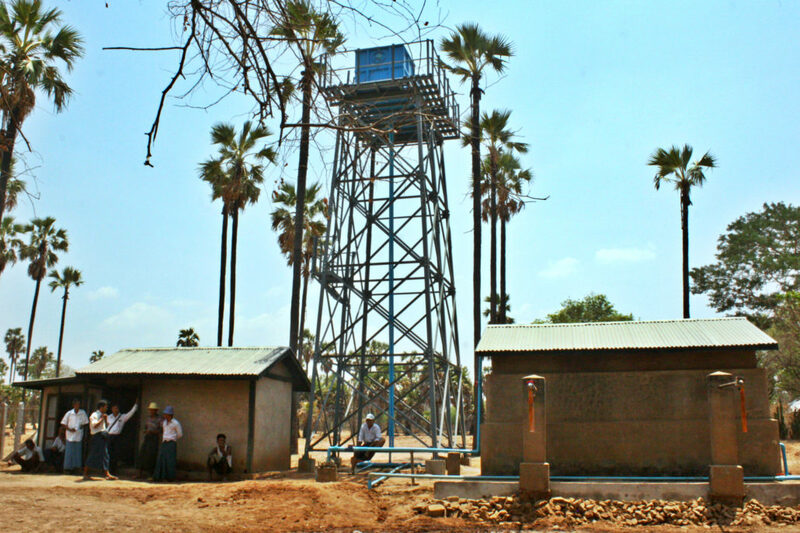 The completion of this pilot project in the Mandalay region marks Lien AID’s first step in enabling clean water access for Myanmar’s rural communities. We will continue to monitor and evaluate the outcomes of this project for the next two years. Moving forward, we are also studying the feasibility of piloting clean water projects in the Ayeyarwady region, bringing the gift of clean water to more rural communities in Myanmar. 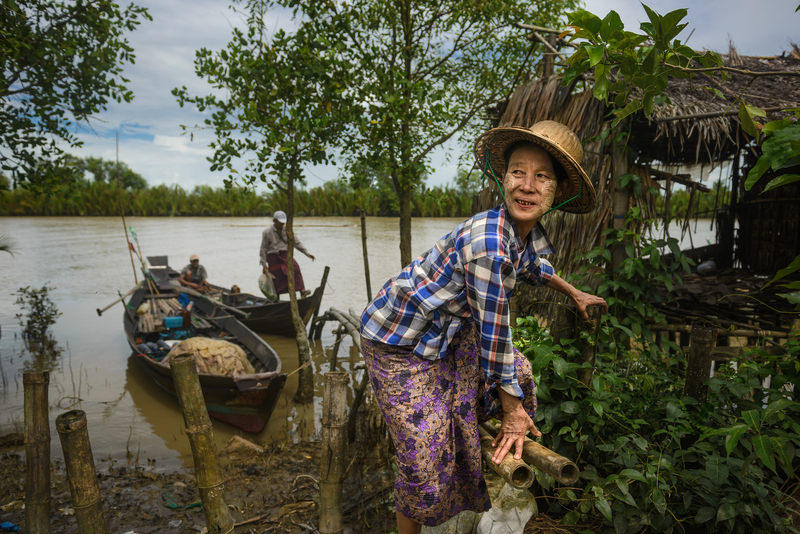 Learn more about Myanmar’s water woes and our focus areas here.